• Good for heart: Beet fiber helps to reduce cholesterol and triglycerides by increasing the level of HDL. High level of triglycerides increases the risk for heart related problems. The presence of the nutrient betaine lowers the levels of homocysteine in the body which can be harmful to the blood vessels. Thus, consumption of beetroot helps to prevent cardiovascular diseases. • Avoids birth defects: Beet is good for pregnant women since it is a source of B vitamin folate which helps in the development of infant’s spinal column. Deficiency of folate could lead to the condition called neural tube defect. • Prevent certain cancers: Studies revealed that beet are good in preventing colon cancer, as it contains the pigment betacyaninis, which counteracts cancer. Nitrates used in meats as preservatives, cause the production of nitrosamines compounds in the body resulting in cancer. Studies reveal that beet juice inhibits the cell mutations caused by these compounds. Researchers in Hungary have also discovered that beet juice and its powdered form slows down tumor development. • Good for liver: Betaines contained in the beet juice stimulates the functions of liver. 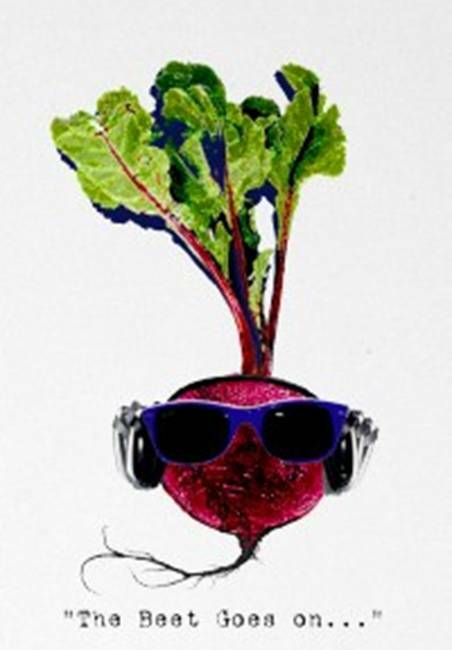 • Prevent respiratory problems: Beetroot is a source of vitamin C which helps to prevent asthma symptoms. The natural beta-carotene in beetroot also helps to prevent lungs cancer. • Boosts energy: Beetroot contains a significant amount of carbohydrates that provides fuel for energy and prolonged sports activities. • Prevent cataract: The presence of beta-carotene (vitamin A) helps to prevent age related blindness called cataract. • Capillary fragility: The flavonoids and vitamin C in beets help to support the structure of capillaries. • Macular degeneration: The beta-carotene present in beetroot avoids macular degeneration. • Stroke: Low level of potassium in body increases the risk of stroke. So potassium-rich beetroot is recommended in that aspect. It is time to expand your palette! While beets are available throughout the year, their season runs from June through October when the youngest, most tender beets are easiest to find. Raw beet roots have a crunchy texture that turns soft and buttery when they are cooked. Beet leaves have a lively, bitter taste similar to chard. The greens attached to the beet roots are delicious and can be prepared like spinach. They are incredibly rich in nutrients, concentrated in vitamins and minerals as well as carotenoids such as beta-carotene and lutein/zeaxanthin. Choose small or medium-sized beets whose roots are firm, smooth-skinned and deep in color. Smaller, younger beets may be so tender that peeling won't be needed after they are cooked. Avoid beets that have spots, bruises or soft, wet areas, all of which indicate spoilage. Shriveled or flabby should also be avoided as these are signs that the roots are aged, tough and fibrous. While the quality of the greens does not reflect that of the roots, if you are going to consume this very nutritious part of the plant, look for greens that appear fresh, tender, and have a lively green color. When storing, cut the majority of the greens and their stems from the beet roots (so they do not pull away moisture away from the root) leaving about two inches of the stem. Do not wash beets before storing. Place in a plastic bag and wrap the bag tightly around the beets, squeezing out as much of the air from the bag as possible, and place in refrigerator where they will keep for up to 3 weeks. Store the unwashed greens in a separate plastic bag squeezing out as much of the air as possible. Place in refrigerator where they will keep fresh for about four days. Cooked beets freeze well; they retain their flavor and texture, unfortunately, raw beets do not; they become soft upon thawing. When ready to cook, rinse gently under cold running water, taking care not to tear the skin. Wearing kitchen gloves is a good idea when handling beets because beet juice can stain your skin (if your hands become stained- simply rub some lemon juice on them). Tight on time- just purchase canned beets from the supermarket. Sliced beets in a can not only involve no cooking, they are naturally sweet and refreshing, are low calorie. • Simply grate raw beets for a delicious and colorful addition to salads or decorative garnish for soups. • Boil beet greens for 1 minute for a great tasting side dish, which is very similar to Swiss chard or Spinach. • Marinate steamed beets in fresh lemon juice, extra virgin olive oil, and fresh herbs.